Regulators are nearing a settlement with Fannie Mae and Freddie Mac over whether the mortgage finance giants adequately disclosed their exposure to risky subprime loans, bringing to a close of a three- year investigation. The criminal inquiry has sputtered to a halt. 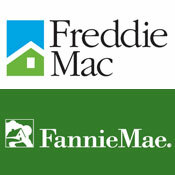 The Justice Department has concluded its inquiry, at least at Freddie Mac, according to a securities filing in August by the company. No charges have been filed against either company. Daniel S. Loeb’s hedge fund, Third Point Management, disclosed in a filing on Thursday that it had acquired a 5.15 percent stake in Yahoo and hinted at a proxy challenge if changes were not made on the Internet company’s board. With the stake, Third Point becomes the third-largest outside investor in Yahoo, after Capital Research Global Investors and Capital World Investors. Shares of Yahoo surged 6 percent after the disclosure of the Third Point filing. Google had acquired Zagat, one of the most well-known names in restaurant reviews. Terms of the deal were not disclosed, but people briefed on the matter said that Google had paid $100 million to $200 million. The deal will most likely mean a lucrative payout for the Zagat, as well as for the private equity firm General Atlantic, which bought a third of the company in 2000. Two years ago, Google tried — and failed — to buy Yelp, Zagat’s biggest online competitor, for $500 million. The deal sent ripples through other local-focused Internet businesses on Thursday. Shares in OpenTable, the restaurant reservations company that has introduced diner reviews, tumbled more than 8 percent, to $57.50.